Miami Worldcenter has overhauled its retail strategy from big-box mall to “high street” retail, but the competition is no less intense. 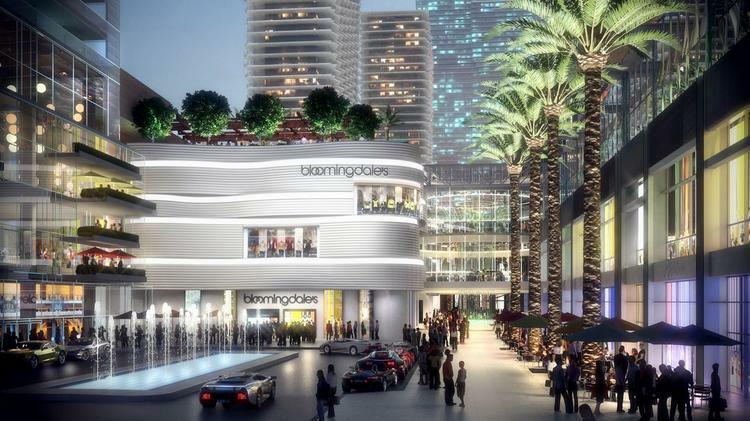 The original plan for the retail heart of the 27-acre project on the north side of downtown Miami was a 765,000-square-foot enclosed mall with 320,000 square feet anchored by Macy’s and Bloomingdale’s. Master developer Miami Worldcenter Associates signed on Taubman Centers and the Forbes Co. as co-developers, meaning they had equity in the deal. Now, Miami Worldcenter Associates wants to build open-air retail based on a pedestrian-friendly street grid without major boxes. Nitin Motwani, managing principal for Miami Worldcenter Associates, said the project would be smaller, but he’s not sure about the final size yet. Taubman and Forbes are no longer co-developers of the retail at Miami Worldcenter. They have a preliminary agreement to lease the project, and an option to purchase the retail property once it opens, according to a release from Taubman Centers, which expects an $11 million to $12 million write-off from the change. Macy’s and Bloomingdale’s might still be tenants, but they would occupy smaller spaces, Motwani said. The retail and the Paramount condominium are slated to open in fall 2018. Construction has started on the condo, but not on the retail, as it needs to be redesigned. The retail will open all at once, not in stages, he added. Given that time line, Chariff said Miami Worldcenter needs to sign its leases now, because it takes about two years to create a new store. Many of the best tenants for high street retail are already committed in the Design District, Aventura Mall expansion, Bal Harbour and Brickell City Centre, he said. Chariff doubts that most tenants would want a second location so close. However, some larger retailers, such as Restoration Hardware, might like the idea of a custom store in Miami, he said. Comras Co. CEO Michael Comras said retailers have become more conservative, and want to be sure that new locations are profitable and they are not paying too much in rent. They’re especially conscious of putting new stores too close to existing locations, which could see business cannibalized as a result, he said.